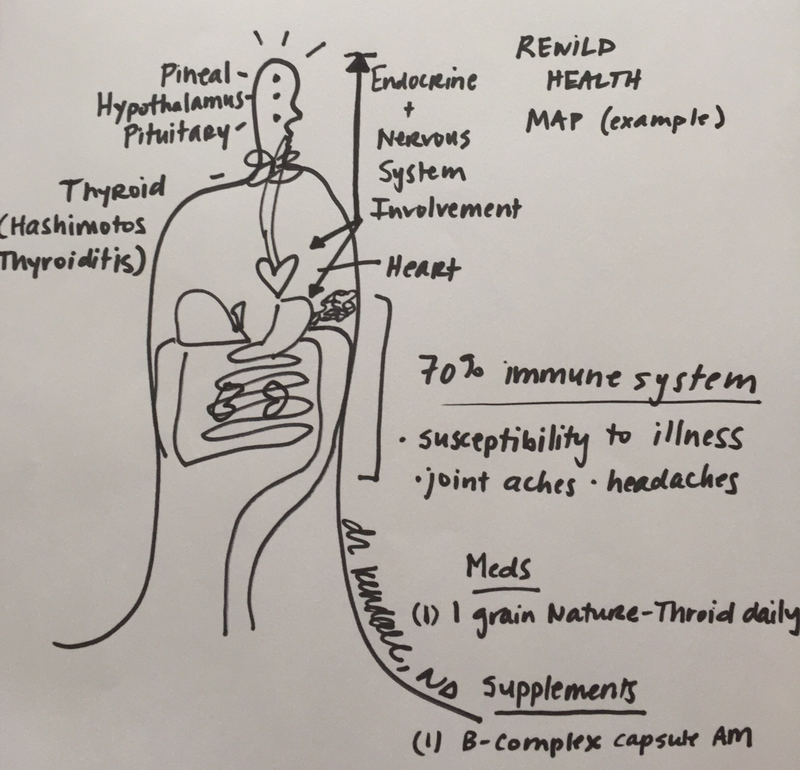 Rewild Health includes foundational daily health practices that are inspired by instincts and basic human needs for not only surviving, but thriving. Find your way to health through self-care, movement, getting outside and holistic nutrition. Make the choice to improve your individual health through these practices. Spark the wellbeing and communication of your team in the school or corporate setting and increase your knowledge of your body - why it does what it does, and how and what you can do about it. Start today by taking the best care of your self, community and planet. ​For more information or to set up a foundational health session, contact: drhassemer@gmail.com. Clients are set up on an electronic healthcare portal that which allows them to access their plan 24/7. Log-in to your portal here. Work with Dr. Kendall to review your family and personal health history, lab results and current symptom picture to create your individualized health blueprint. Map out your health course to gain clarity on which steps to take next with your healthcare team. Inquire for more info about this unique process - a truly life changing and fun experience to lay the foundation and examine the course of your own health! 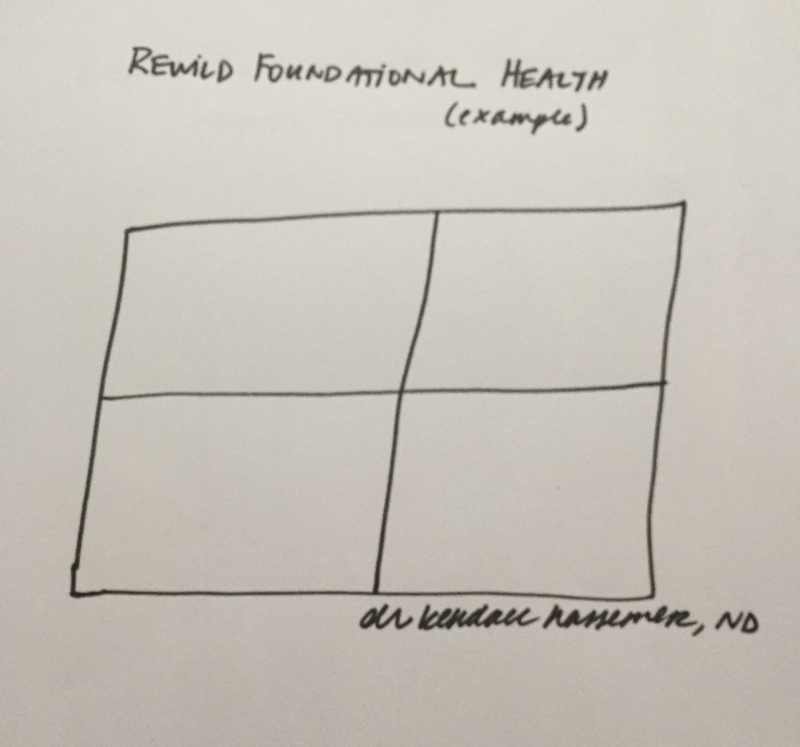 Taking your Rewild Health Map into consideration, develop bioindividual daily health practices that create foundational health. These reasonable and sometimes even fun practices add up to everyday, big time health. Dr. Kendall's passion for nutrition is fierce and contagious. Food really is medicine, she believes, and it’s as simple and challenging as that. In private and group sessions, Dr. Kendall works with her clients to assess dietary needs and supplementation based on lab work, health history, and personal goals. Dr. Kendall has developed curriculum and taught classes in nutrition, addiction, and wellbeing at University of California-Santa Barbara to reach a broad audience with this integral information. Meal plans and supplement schedules are provided and labs routinely monitored to make sure that you are getting the most out of your program. Healthy eating does not need to mean boring, restricting or perfect. In fact, our goal is better, not perfect, and we are confident that we can support you in that endeavor. Movement is medicine - it deeply frees the muscles and tissues from pain and tightness. Carefully constructed individualized yoga postures and movement prescriptions are available, along with coaching through breathing and meditation practices. Find clarity in the everyday experience by dropping into the body and discovering the ability to increase your productivity, communication, connectedness, love and mindfulness. Book a Rewild Health Session. Individual Rewild Sessions and Four and Six Session Packages are available. Find a better understanding of your labs from a functional and naturopathic medical perspective. Naturopathic lab values are viewed from both a functional and optimal ranges. This laboratory-based snapshot into a person's health picture can determine next best steps to take with primary care physicians and specialists as well as provide a baseline to compare and contrast the course of treatment efficacy. Why do I need this? Dr. Kendall helps you to map out the next course of action - naturopathic doctors have access to a wide range of testing that is not always available in other clinical settings. Dr. Kendall will help collect information to help you get the answers you need and recommend labs she trusts to move you forward on your wellbeing trajectory. Rewild Health specializes in Collaborative Healthcare. Please ask more to find out about this exciting step in the nature of health care. 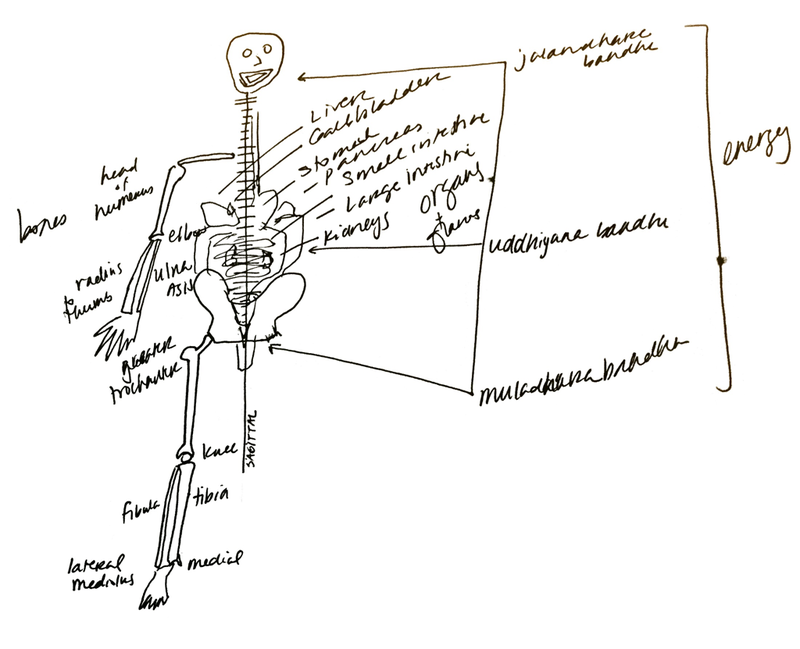 As a part of a Yoga Teacher Training or a stand-alone intensive, Dr. Kendall provides a unique, holistic perspective on anatomy and physiology as it relates to yoga, movement and energy. Discover the importance of brain health and neural patterns, fascia, whole body movement and breath to re-energize your exercise, mood and yoga practice. More info on these modules coming soon, and they are already integrated into the Yoga Soup and Harmony House 200-Hour Level Teacher Trainings. Questions about Dr. Kendall's work,scheduling an appointment or booking a speaking engagement? Please inquire below.